Here at AssistiveWare, we have always supported our community with videos and materials so that people can learn how to set up the Proloquo2Go app. But there was something missing - that crucial step of helping people to figure out how to actually use Proloquo2Go day to day, so Augmentative and Alternative Communication (AAC) learners could become successful and independent communicators. The AssistiveWare Core Word Classroom is designed to fill this space! 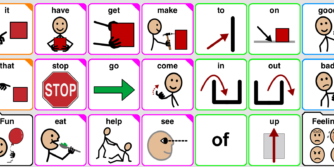 The classroom offers a large collection of learning resources, which are designed to support implementation of any AAC system that is based on core words. Research and best practice continue to show us just how important it is to give students access to a robust AAC system, complete with core words. Core words are the building blocks of language that make up over 80% of the words we say. When we give access to these words, we are giving students power and flexibility in their communication. The resources in the Core Word Classroom support a team or family to plan and implement core words into their everyday activities and routines. We also know from research and best practice that students who are learning to communicate with an AAC system need to see their system being used by the people around them, in real situations, communicating real messages. The team needs to focus on modeling core words consistently throughout the day. The Core Word Classroom has a big focus on modeling. It provides materials that will make it easier for teams and families to model core words regularly. Some form of AAC needs to be available everywhere, so that even in environments where a high-tech device can’t go, you can still communicate. The Core Word Classroom provides a free communication board with core words on one side and alphabet on the other. The board is available in English, Spanish, and French! Download the PDF, print it out and laminate it, and you have a communication lifeline for times when your regular AAC system isn’t on hand. Communicating everywhere means communicating at home as well as at school. Whilst the Core Word Classroom may sound teacher/student/school focused, we encourage anyone who is supporting a person using AAC to join our classroom. There is learning for everyone! The resources can really be applied to most environments and be used by all. So what will you find in AssistiveWare’s Core Word Classroom? All our materials will give you the Words, Whys, and Ways. They provide you with a comprehensive plan to build language for your AAC learners - and to move beyond nouns and requesting! Whilst the resources are mostly PDF documents that you can print out and display or use for planning, you will also find videos, reference lists, information and handouts about AAC and AAC strategies. How can you access the AssistiveWare Core Word Classroom? Click here to access the AssistiveWare Core Word Classroom. The beta version of the Core Word Classroom is... free! We can’t wait to see what you do with the AssistiveWare Core Word Classroom materials! Will you: model more core? teach a core word of the week? fill 5 minutes with core word learning? build more core into your planning? display core words in your classroom? change the life of AAC learners? We hope so! Please note: The AssistiveWare Core Word Classroom is running as BETA at this time. We hope to use the next period of time to share and test the materials further. Please share any feedback and comments you may have. We hope that new materials and ideas can be added over time, so it grows into a large body of resources that is useful in the AAC world. The Grove Education Centre, South Australia, and the wonderful Leanne Shane. Sunshine Special Development School, Victoria, and the resourceful Caitriona Tynan. 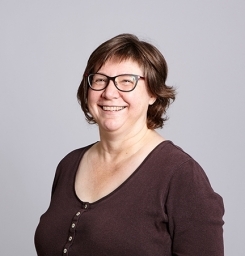 And special thanks to Jane Farrall, Speech Pathologist and AAC expert, for her support and guidance getting started and throughout the Pilot Project.